Wonderful fresh color combination is a classic pictorial version of the house, so popular in the late 19th c. referred to as This Old House, Double red chimneys. 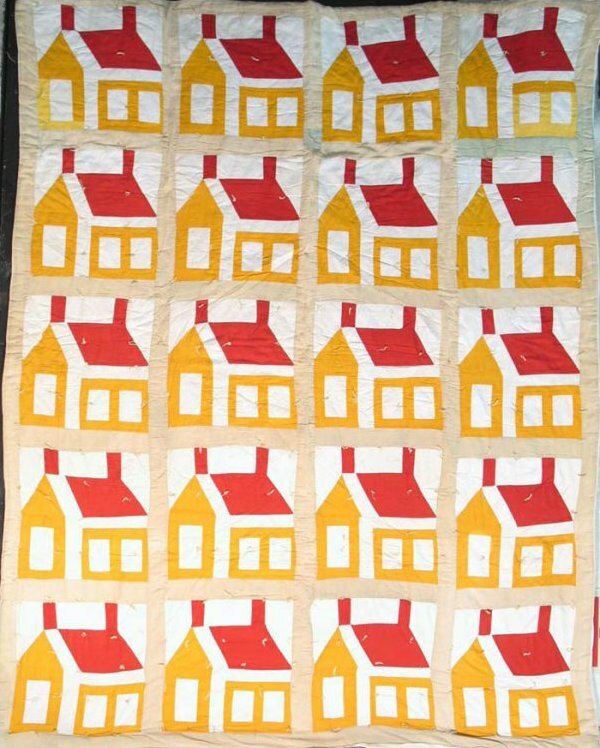 This example is 'tied' or tacked' rather than quilted, so there is no interruption of the graphic by stitchery. and offers us the chance to offer it at a more modest price than if it were fully quilted. The camel coloration was originally green, but has oxidized to this wonderful palette complement with the cheddar and red.